데이터 프리! 언제 어디서나 앱 이용시 데이터 요금 걱정없이 쇼핑하세요. 더 특별한 구매혜택! SKT회원에게만 추가 3% 할인혜택을 드립니다. 다양하고 엄선된 브랜드&상품, 롯데닷컴 모바일에서 쇼핑하세요! • 3번의 터치로 상품을 찾아가는 직관적인 상품탐색!• 쉽고 빠르게 상품을 찾아주는 강력한 상품리스트 필터링 기능•SMS 4자리 숫자만 입력하면 결제 끝!, 카드간편결제 스마트페이! • 바로찍어서 바로 올리는 사진상품평! • ‘이거어때’ - 문자,이메일,카카오톡 간편 SNS 상품 공유! • 백화점, 홈쇼핑, 닷컴상품, 도서, e-쿠폰, 스마트픽 와인예약 서비스까지! 롯데닷컴은 고객님께 차별화된 서비스를 제공하기 위해 모바일 기기의 다양한 기능에 접근하고 있습니다. 서비스 제공에 접근권한이 필요한 경우 동의를 받고 있으며, 선택 권한 접근에 거부하시더라도 기본 서비스 이용에 제한은없습니다. 고객님의 소리에 항상 귀를 기울이겠습니다. Data-free! Shop anytime, anywhere, without worrying apps drive datarates. Purchase more special benefits! SKT members only will be anadditional 3% discount. ▶ Lotte also com from your smartphone! Diverse selection of brands and products, please shop at Lotte dotcom mobile! • Intuitive navigation products Getting the goods to the thirdsingle touch! • Powerful filtering capabilities the product list toquickly and easily find the products • SMS 4-digit number you justentered payment End of the card payment page Simple Smart! • raise right away by taking pictures Review! • 'What about this' letter, e-mail, KakaoTalk easy SNS sharingproduct! • to department stores, home shopping, dot products, books, e-coupons, smart wine Reservation Service pick! Lotte dot com has access to the various functions of the mobiledevice in order to provide a differentiated service to ourcustomers. If you have access to the necessary services are being agreed, evenif you deny access to the Select permission it is not limited tothe use of basic services. Yigetseupnida always listen to your voice. ▶ SKT고객이시라면 이 앱에서~데이터 프리! 언제 어디서나 앱 이용시 데이터 요금 걱정없이 쇼핑하세요.더 특별한 구매혜택! SKT회원에게만 추가 3% 할인혜택을 드립니다.▶ 스마트폰에서도 역시 롯데닷컴!다양하고 엄선된 브랜드&상품, 롯데닷컴 모바일에서 쇼핑하세요!• 3번의 터치로 상품을 찾아가는 직관적인 상품탐색!• 쉽고 빠르게 상품을 찾아주는 강력한 상품리스트 필터링 기능•SMS 4자리 숫자만 입력하면 결제 끝!, 카드간편결제 스마트페이!• 바로찍어서 바로 올리는 사진상품평!• ‘이거어때’ - 문자,이메일,카카오톡 간편 SNS 상품 공유!• 각 백화점 에서 직배송되는 정품 보증 백화점 상품(상품의 백화점 태그확인)• 브랜드 상품만 모아서 보는 모바일 브랜드샵• 백화점, 홈쇼핑, 닷컴상품, 도서, e-쿠폰, 스마트픽 와인예약 서비스까지!▶앱 접근권한 안내롯데닷컴은 고객님께 차별화된 서비스를 제공하기 위해 모바일 기기의 다양한 기능에 접근하고 있습니다.서비스 제공에 접근권한이 필요한 경우 동의를 받고 있으며, 선택 권한 접근에 거부하시더라도 기본 서비스 이용에 제한은없습니다.•접근권한 필요 기능 상세 설명-전화(필수): 앱 알림, 이벤트 참여-카메라(선택): 이미지 검색, 이미지 상품평 등록, 톡 상담-연락처(선택): 휴대폰 주소록 사용-마이크(선택): 음성검색, 동영상 촬영-저장공간(선택): 저장된 파일 사용고객님의 소리에 항상 귀를 기울이겠습니다.이용 중 문의사항 : 고객센터 (☎1577-1110)앱 이용 관련 불편사항, 오류 신고 : [email protected] (단말기종, OS정보 기재)감사합니다.▶ SKT customer, if you'rein the app -Data-free! Shop anytime, anywhere, without worrying apps drive datarates.Purchase more special benefits! SKT members only will be anadditional 3% discount.▶ Lotte also com from your smartphone!Diverse selection of brands and products, please shop at Lotte dotcom mobile!• Intuitive navigation products Getting the goods to the thirdsingle touch! • Powerful filtering capabilities the product list toquickly and easily find the products • SMS 4-digit number you justentered payment End of the card payment page Simple Smart!• raise right away by taking pictures Review!• 'What about this' letter, e-mail, KakaoTalk easy SNS sharingproduct!• Genuine Guarantee Department jikbaesong goods in each department(Department of product check tag)• Mobile brand shop looking Collect only brand goods• to department stores, home shopping, dot products, books, e-coupons, smart wine Reservation Service pick!▶ Guide app restrictionsLotte dot com has access to the various functions of the mobiledevice in order to provide a differentiated service to ourcustomers.If you have access to the necessary services are being agreed, evenif you deny access to the Select permission it is not limited tothe use of basic services.• Restrictions necessary features details- Telephone (required): App notifications, eventparticipation- Camera (optional): Image Search, Image Review registration,counseling Tok- contact information (optional): Use the phone book- Microphone (optional): voice search, and video recording- storage (optional): Use the saved fileYigetseupnida always listen to your voice.Contact details of Use: Customer Service (☎1577-1110)Complaints related apps available, the error report:[email protected] (handset kind, OS information base)Thank you. 롯데 모바일 파트너즈는 언제 어디서나 빠르고 간편하게 업무 처리가 가능하도록 업무연락, 주문발송처리, 상품관리 기능 등을제공합니다. * 파트너 제공 메뉴 : - 공지사항/업무연락관리/주문배송관리/상품관리/통계관리/협력사정보/장애개선신고*파트너플러스 제공 메뉴 : - 공지사항/업무연락관리/주문배송관리/상품관리/통계관리/정산관리/장애개선신고*안드로이드 버전3.0이상부터 지원됩니다.Lotte Mobile Partners provides business contact,order shipment processing, product management functions, enablinganytime, anywhere business transactions are quick and easy. *Partner offer menu:- 공지사항/업무연락관리/주문배송관리/상품관리/통계관리/협력사정보/장애개선신고*Partner Plus provides menu:-공지사항/업무연락관리/주문배송관리/상품관리/통계관리/정산관리/장애개선신고* From Android version 3.0or later are supported. 임직원과 고객을 위한 최선의 선택!롯데닷컴 법인몰이 모바일앱으로 태어났습니다.더욱 사용하기 편리해진 모바일 롯데닷컴법인몰을 언제 어디서나 편리하게 이용하세요. [ 모바일앱 기능 강화 ]- 상품주문, 배송조회, 취소 및 교환, 반품 모두모바일에서 가능합니다.- 궁금한게 있으세요? 모바일 고객센터에서 해결하세요. [ 더 이상 다양할 수 없다! ]- 법인몰의전용상품과 롯데닷컴의 일반상품 까지~- 시즌별 다양한 기획전- 고객분들의 선택과 폭을 넓혀 드립니다.고객님의 소리에 항상귀를 기울이는 롯데닷컴 법인몰이 되겠습니다.※ 고객센터에서 전화문의 선택 시 전화연결 됩니다.※ 고객님께 더 나은 서비스제공을 위해 고객님의 기기 상태 및 ID 정보를 활용합니다.이용 중 문의사항 : 롯데닷컴 법인몰 고객센터(02-6744-5001)앱 이용 관련 불편사항, 오류 신고 : [email protected] (단말기종, OS정보기재)감사합니다.The best choice for our employees and customers!Lotte wasborn in the dot-com subsidiaries mall mobile app.Easier to use andmore mobile, please use the Lotte dot com anytime, anywhereconvenience of corporate Mall. [Enhanced mobile app functionality;-All ordering products, shipping inquiries, cancellations andexchanges, returns possible from your mobile.- Have you wondering?Please fix in the mobile customer center. [No longer be a lot! ]-Dedicated to general merchandise products of the corporation Malland Lotte dot com ~- Various seasonal exhibitions- We will widenthe choice and range of customers.Always pay your ear to the voiceof the legal highs Mall Lotte dot com.※ will be connected when youselect phone call from the customer center.※ Take advantage of yourmachine's status and ID information to provide better service toyou.Use of Information: Lotte dot com corporation Mall CustomerCenter (02-6744-5001)Complaints related apps available, report theerror: [email protected] (kinds of devices, OS informationbase)Thank you. 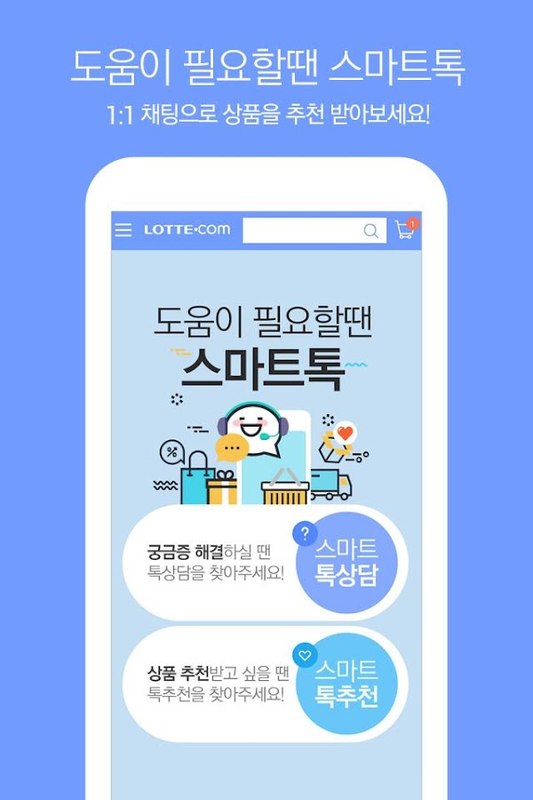 Lotte.com is super networking portal providing both "bricks andclicks" on the Internet. This means that Lotte's physicaldistribution network, virtually connected with the Internet,empowers complete efficiency in cyber marketing strategies andprojects. Lotte.com's variety of product offerings, deliverysystem, service quality, and many other factors are unmatched bythe e-biz competition. 백화점 공식 온라인몰! 엘롯데! ● 한곳에 모인 롯데 ON 엘롯데에서 몰이동을 통해 별도의 앱 설치 없이, 엘롯데,롯데홈쇼핑, 롯데닷컴, 하이마트, 롯데마트, 롯데프레시, 롭스까지 7개의 온라인 쇼핑몰을 자유롭게 이용하실 수 있어요.● 편리한 로그인 기능 제공! 하나의 앱에서 L.POINT 아이디로 한 번만 로그인하면 7개의 롯데 온라인 쇼핑몰을별도의 로그인 없이 간편하게 이용하실 수 있어요. ● 원하는 검색을 한눈에! 롯데 ON 에서는한 번에 원하는 상품을 검색할 수 있고, 고객님의 관심 상품도 추천해 드려요. [백화점의 상품을 딜하세요! 백화점의가치를 더한 타임특가! - 완판딜] 백화점의 믿을 수 있는 품질의 상품을 특별한 가격에 만날 수 있는 절호의 찬스!완판딜 놓치지 마세요! [엘롯데의 세가지 쇼핑 TIP!] - SHOP 쇼핑: 다양하고 저렴한 상품을 쉽고 빠르게탐색해보세요. - STYLE 쇼핑: 최신 트렌드 스타일 코디를 구경하고 패셔니스타가 되어 보세요 - STORE 쇼핑:내가 좋아하는 인기브랜드의 잇 아이템을 한눈에 둘러보세요 [엘롯데 서비스 소개] - #MD's Pick : 상황에 따른맞춤 코디룩을 엘롯데가 추천해드립니다! - THE TRENDS : 롯데백화점에서 제안하는 패션트렌드 매거진! - 사이즈추천 : 사이즈에 대한 고민은 이제 그만! 나에게 꼭 맞는 사이즈를 추천해드립니다! - 완판딜 : 엘롯데만의 특별한혜택! 합리적 가격으로 느끼는 쇼핑의 즐거움 - BEST100 : 엘롯데 HOT 아이템만 모았다! 베스트 인기상품들을둘러보세요! [앱 접근권한 안내] 엘롯데는 고객님께 차별화된 서비스를 제공하기 위해 모바일 기기의 다양한 기능에 접근하고있습니다. 서비스 제공에 접근권한이 필요한 경우 동의를 받고 있으며, 거부하시더라도 기본 서비스 이용에 제한은 없습니다.- 접근권한 필요 기능 상세 설명 1. 단말기ID,(필수) : 단말기 식별 2. 전화(선택): 앱 알림, 이벤트 참여3. 카메라(선택): 이미지 검색, 이미지 상품평 등록, 톡 상담 4. 연락처(선택): 휴대폰 주소록 사용 5.마이크/음성인식(선택): 음성검색, 동영상 촬영 6. 저장공간(선택): 저장된 파일 사용 7. 생체인식(선택) :생체인식 로그인 ▶ (주)롯데쇼핑 엘롯데 고객센터 1899-2500 (Fax: 02-3675-2500/E-mail:[email protected]) - 운영시간 : 평일 (09~18시) 주말/공휴일 (휴무) ▶ 앱 이용 관련 불편사항,오류 신고 : [email protected] (앱명칭, 단말기종, 버전정보 기재) 나만의 차별화된 쇼핑! 롯데 ON에서라면 가능해요. Department store official online mall! El Lotte! 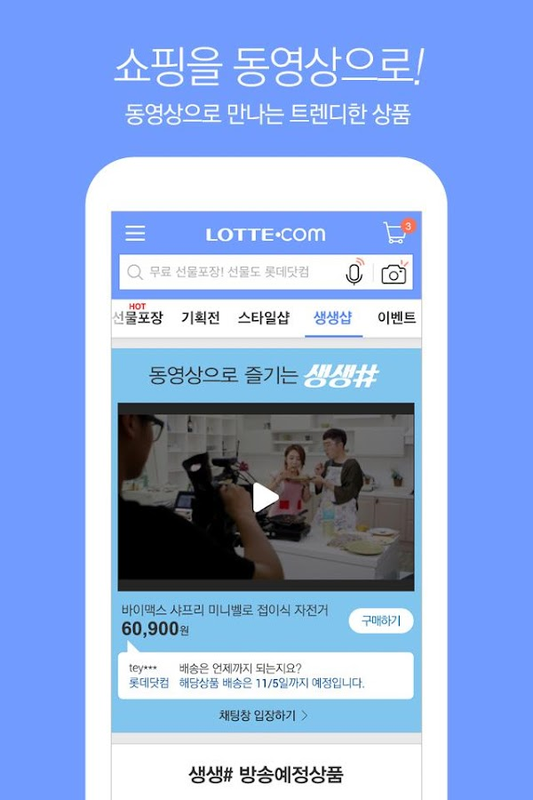 ● Lotte ON gathered in one place El Lotte, without the need toinstall a separate application through the mall movement, El Lotte,Lotte Home Shopping, Lotte.com, Hi Mart, Lotte Mart, Lotte Fresh,Rops Seven online shopping malls are available at your disposal. ●Convenient login function! If you sign in with only one L.POINT IDin one app, You can easily access 7 Lotte online shopping mallswithout a separate login. Want to search at a glance ●! In LotteON, you can search for desired products at once, We also recommendyour favorite items. [Deal with department store items! Timespecials plus the value of department stores! - complete dill] Youcan meet department store's reliable quality goods at a specialprice Good chance! Do not miss a complete deal! [El Lotte's threeshopping tips!] - SHOP Shopping: Explore a variety of affordableitems quickly and easily. - STYLE Shopping: Watch the latest trendstyles and become a fashionista. - STORE Shopping: Take a look atthe favorite items of my favorite brands. [About El Lotte Service]- # MD's Pick: E-Lotte recommends customized coordination accordingto the situation! - THE TRENDS: Fashion trend magazine suggested byLotte Department Store! - Size Recommendation: Stop worrying aboutsize! We recommend the right size for you! - Bundang Deal: ElLotte's special benefit! Enjoy shopping at a reasonable price -BEST100: El Lotte HOT items only collected! Discover thebestsellers! [Guide to app access rights] El Lotte is approachingvarious functions of mobile devices to provide differentiatedservices to customers. If you need access to the service, you areconsenting, and even if you refuse, there is no limit to the use ofthe basic service. - Detailed description of required functions 1.Terminal ID, (required): Terminal Identification 2. Phone(optional): App notification, event participation 3. Camera(optional): image search, image review, 4. Contacts (optional): Useyour mobile phone's address book 5. 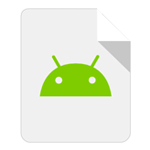 Microphone / Voice Recognition(optional): Voice search, movie recording 6. Storage (optional):use saved files 7. Biometric (optional): biometric login ▶ LotteShopping El Lotte Customer Center 1899-2500 (Fax: 02-3675-2500 /E-mail: [email protected]) - Hours: Weekdays (09 ~ 18) Weekends /Holidays (Closed) ▶ Complaints related to the use of the app,Report the error: [email protected] (app name, terminal type,version information) Your unique shopping! You can do it at LotteON. On Mobile! On Shopping!스마트한 쇼핑의 시작, 롯데백화점 어플리케이션!디자인 및 기능 개선을 통해 더욱 빠르고 편리하게 새단장 하였습니다.한층 세련되고 스마트해진 롯데백화점 어플리케이션을 지금 만나보세요! * 선택적 접근권한 항목1. 위치 정보 사용- 사용자와 가까운 백화점을 찾기 위해서 정보 이용합니다.2. 사진/영상/파일 접근- 백화점/아울렛 이미지를 저장하기 위해서 이용합니다.※ 선택적 접근권한인 경우, 동의하지 않더라도 앱 서비스 이용이 가능합니다.On Mobile! OnShopping!Smart Start shopping, Lotte Department Store Application!Faster and more convenient through improved design andfunctionality has been renovated.Discover more chic meets Lotte made a smart application now! * Optional Restrictions items1. Turn Location - The use of information to find thenearest department store and the user.2. Photo / Picture / File Access - used to store Department Store / Outletimage.※ If the Korean selective access, even if you do not agree withthis app, you can use the service.